Epic Games just held the first digital concert and will be holding the Fortnite Marshmello event encore later today. Unfortunately for those who might have missed the first one on Saturday in the UK, the next concert is being held in the morning. The next Fortnite Showtime is being held at 7am in Pleasant Park, with fans hoping for a full run-through of the earlier set. For those in the United States, the Fortnite Marshmello concert will be going live again at 2am EST, which will likely follow the rules of the first. Fans will need to log into the special Showtime Mode that will be added before the concert is scheduled to go live. To make it easier, Epic Games will disable all other modes so that you can’t jump into something else by mistake. Players can expect the Fortnite encore to last around 10 minutes and will be followed by a live game of Battle Royale. 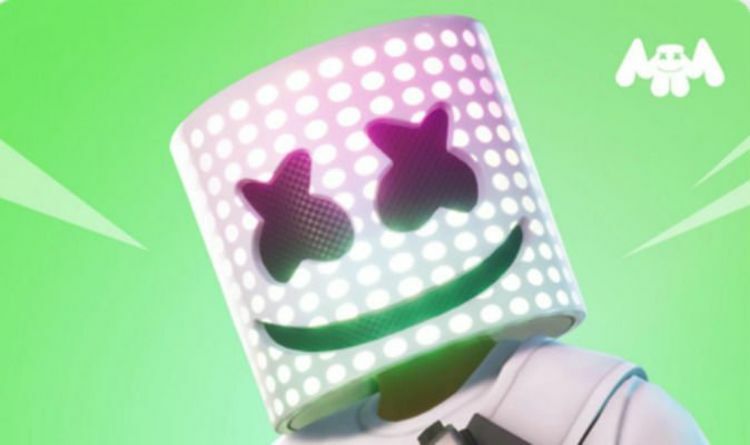 During the show, fans will not have to be worried about getting eliminated, as the mode disables this for the entirety of the Marshmello concert. And there has also been a special announcement following today’s big Fortnite event. For those who enjoyed the concert, it doesn’t seem likely that Epic Games will host it at an actual stadium. However, the extended mix of the show can be purchased on Apple Music tonight.